Home Science and Spirituality WHAT IS A SPIRITUAL INSIGHT? WHAT IS A SPIRITUAL INSIGHT? Religion affects everything in our lives from the nature of reality, what we believe to be true, to moral and ethical behaviors. There is great value in the philosophical debate of the frontiers of science as well as in deepening our understanding of the impact our religious beliefs have on our day to day lives. For many people however, the realms of the spiritual and the scientific never meet or work together in practical application. For the most part, these two things are generally separated and one is not considered conducive of the other meaning that one does not lead to greater insights of the other. The investments that we put into philosophy and fundamental science is not just about offering ways to have a greater understanding of science and technology, but also to leading us to greater spiritual insights that have practical applications for our lives. This is important as we seek to apply God’s Word (the Bible) to our lives which has far reaching influence upon our friends, our family, and even the world. The greater insight into the scientific research may also lead us to a greater understanding of who we are as God’s people. 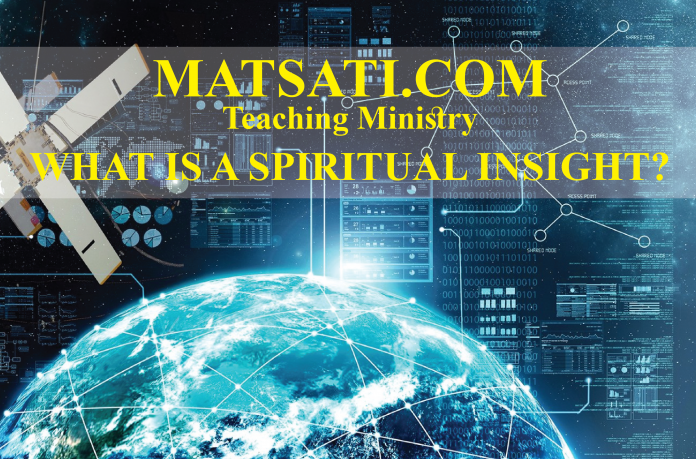 This new teaching series “Science and Spirituality” on the MATSATI.COM Teaching Ministry looks at the latest advances in cutting edge research in the scientific literature coupled to the philosophical implications of what it means to walk with God according to His ways! YOU WILL NOT FIND THIS KIND OF CONTENT ANYWHERE ELSE!